Why do I receive an "Unable to connect" error when I am already connected to the Internet? 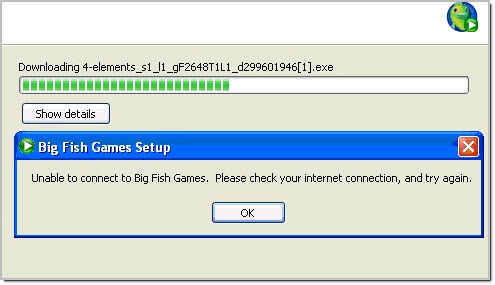 The Big Fish Games app (Game Manager) might not have installed or updated properly. This should help install the app automatically so you can access your games.